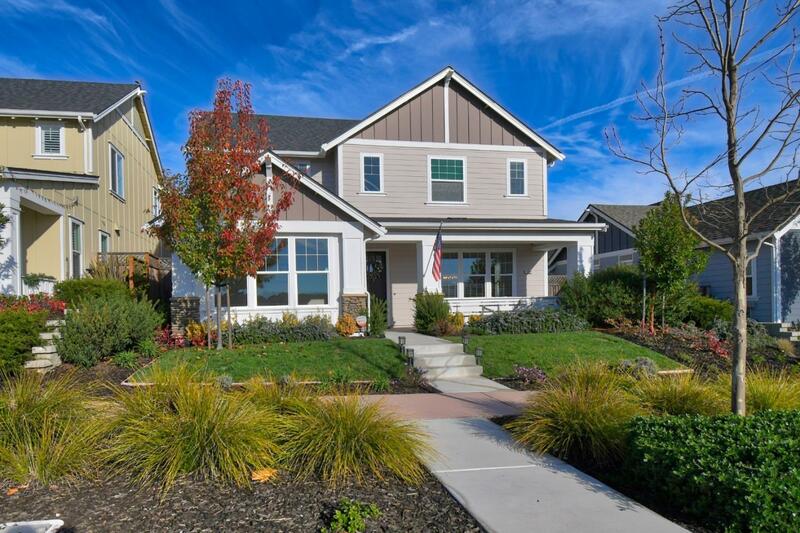 Own a spectacular Hartford model, no longer built by Century Communities! A grand home w/ 4 right-sized bedrooms w/ features from the original builder that include loft conversion to the 4th bedroom, premium cabinets and wood flooring. Enjoy plush carpeting throughout the grand staircase and 2nd floor w/ easy access laundry room and full-sized central bath. Grand master-suite w/ attached bathroom and walk-in closet complete the upstairs. The open plan on the main level is perfect for entertaining guests. Sensible living/dining room make it comfortable to be HOME. Granite center island w/ sink ensure there is room for preparing feasts and bright, upbeat cabinets complete the look! The outside is amazing! Sit on your front porch in front of Lincoln Park to watch California days wind down w/ a view of Toro park and the Ft. Ord Monument hills. The backyard features a covered patio and smartly designed backyard complete w/ synthetic grass and low maintenance plants. Great for a relaxed BBQ!